Motorola have been slow on the uptake in the 5MP race. And surely enough, at a time when the big guns are focusing on the 8MP segment, Motorola have just rolled out their first 5MP shooter that�s jointly developed by Kodak. And the result? Well, let�s just say the Motozine ZN5 was worth the wait. Still confused? Read on. The Motorola Motozine ZN5 sticks to traditional Motorola styling. It sports the same wedge-shape bar form factor of the rokr E8. The build quality is good and the rubber coating around the sides saves it from getting scratched frequently. The front houses a nice 2.4� screen that produces sharp images and vivid colours. Below this are the D-pad and the alphanumeric keypad. The alphanumeric keypad is similar to the one on the E8- flat with little dots on the surface to provide touch-orientation. There is no haptic-enabled feedback like on the E8 but the phone preserves the ModeShift technology which morphs the keypad depending on the current function. For example, when in camera or music mode, the regular alphanumeric illuminations disappear to be replaced by camera and music specific keys. This keypad is not the texter's ultimate dreampad but does the job if you only occasionally bang out a message or two. The phone uses the same UI we've been seeing on other contemporary models and is fairly intuitive. Menu logic is good and most options on the phone are not more than a few clicks away. 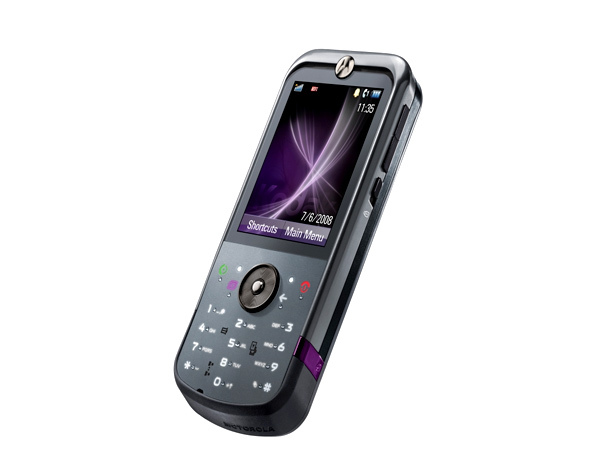 The phone's telephony is also good thanks to Motorola's proprietary Crystal talk technology. As a music machine it performs decently thanks to good sound output and the inclusion of a standard 3.5mm audio port. 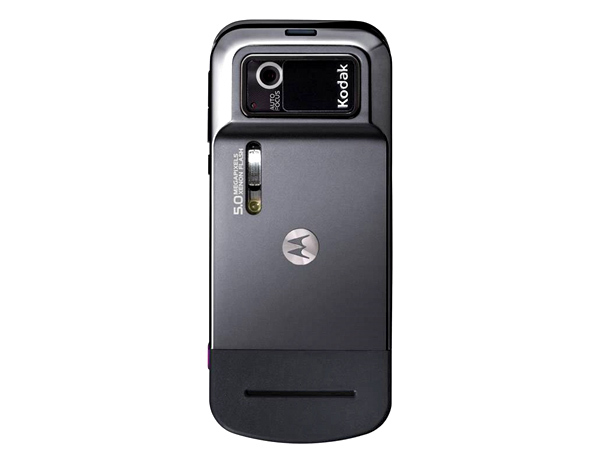 The phone's USP is the 5MP shooter which Kodak had a hand in developing. When you turn the phone on its side you'll notice the top portion of the phone is thicker than the rest of the form factor. This bulge houses the camera and it's protected by a camera cover. The camera cover is active which means popping it open launches the camera application automatically. The cover is however flimsy and can easily come off when the phone is in your pocket. The focal length of this lens is a respectable 5.6mm and the aperture ranges from f/2.8mm to f/5.6mm. As you can guess, the pictures taken from this unit are easily the best for a 5MP camera. Not only can it outclass its rivals but it can also give stand-alone compact cameras a run for their money. There is however no manual control over the shutter speeds or aperture. There are also innumerable photo editing options including Kodak Perfect Touch software. Video recording is not that great and that's understandable because the camera is focused at taking pictures (pun intended). In a nutshell, this phone is an excellent substitute for your point and shoot camera. 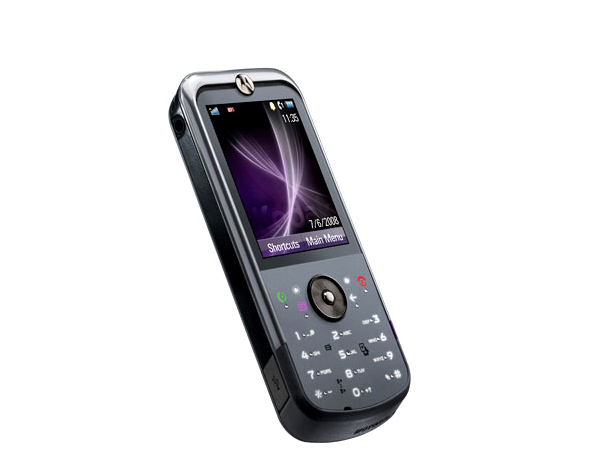 It also excels in its primary functions of calling and texting. Add to that it performs decently as an all rounder in the media and organizing departments. 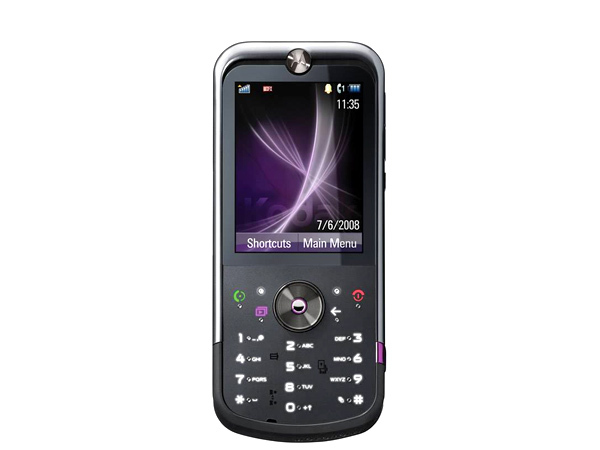 Motorola are known for making one disaster after another but the Motorola Zine ZN5 may very well be the first good handset from the American giant in a long time.